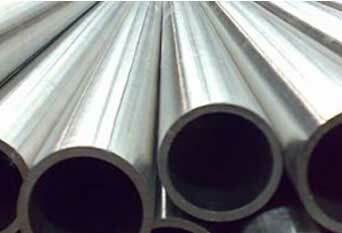 ISO Approved Manufacturer & Exporter of Stainless Steel Electropolished Pipes and Tubing. 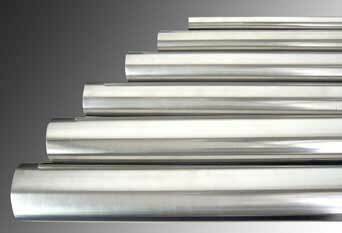 Stainless Steel Electropolished Pipes, SS Electropolished Tubes, Electropolished Stainless Steel Tubing, Stainless Steel 304 Electropolished Pipes, Stainless Steel 316L Electropolished Pipes, 304 SS Electropolished Tube, 316L SS Electropolished Tube Supplier in Mumbai, India. Piyush Steel is a known exporter and manufacturer of SS Electropolished Pipes, which being designed as per the national and international standard quality of raw materials and thus making sure of their durability and high quality. A tube, or tubing, is a long hollow cylinder used for moving fluids (liquids or gases) or to protect electrical or optical cables and wires. 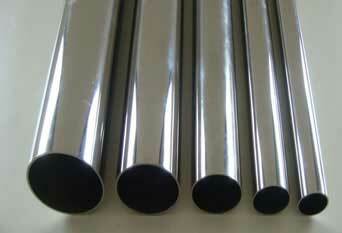 Stainless Steel Electropolished is usually known as electrochemical polishing or electrolytic polishing. These EP Stainless Steel Tubing are generally made by carrying out the electropolishing process on high quality seamless and welded stainless steel tubes. We manufacture some of the finest array of SS Electro-Polish Pipes that are being recognized for their best features. Our products can further be made to order in terms of thicknesses and sizes according to the precise demands from our customers. 304 Electropolished Tube, 304L Electropolished Pipe, 317L Electropolished Pipe, EP Pipe, EP Tubing, SS Electropolished Seamless Tube, 316L Electropolished Tube, SS Electropolished Tube Dealer. We carry out a best collection of Stainless Steel 316L Electro-Polish Pipes, which are known for their exceptional functionality and higher quality. Made-up from the premium grade of high quality of raw material, our range is methodically inspected by our group of brilliant experts on every stage of production to supply the clientele with merely defect-free and finest quality of products. Offered range has set a first-rate reputation among varied patrons and is recognized for robust construction and a lot of other attributes. These EP Stainless Steel Tubes also provides a clean and smooth surface that is easier to sterilize, while improving the surface finish by leveling micro-peaks and valleys. These Austenitic Stainless Steel 304 /304L Electro-Polish Tubes are widely used for a number of applications that comprise food processing, bio-technology, cosmetics, beverages, pure water movement, high purity gases, semiconductors, vacuum and pharmaceuticals. This product is also used for making stamped parts, home appliances, aircraft and also automotive components. 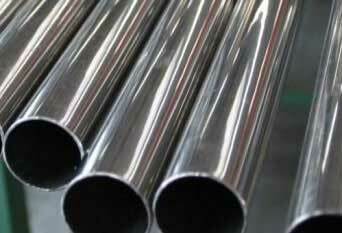 3electropolished stainless steel tubing, high purity stainless steel tubing, electropolishing chemicals for stainless steel, electropolishing stainless steel equipment, ss pipe 304 2inch electropolished stainless steel tubing, electropolishing stainless steel tube, stainless steel electropolishing, electropolishing stainless steel, stainless steel welded electropolished pipes, stainless steel welded electropolished tubes and seamless electropolished tubing, electropolished pipes Price, 904l electropolished tubing.